Join the excitement at Planet Laser! 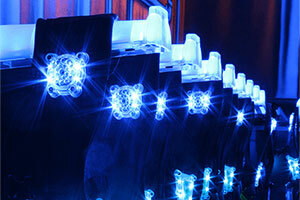 From children’s birthdays to a corporate team building event – Planet Laser is perfect for all occasions! Step right into the realms of a real-life video game! 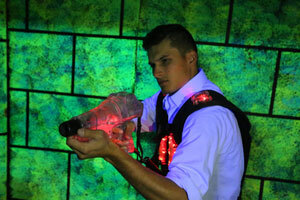 Planet Laser is one of the most advanced laser game entertainment system. 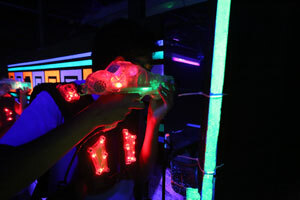 The game area features multiple levels, ramps, visible laser beams & is bursting with fun and adventure! 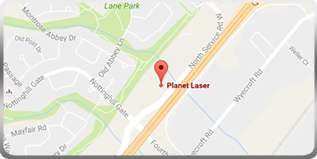 Planet Laser is perfect for both small and large groups. The game is suitable for those ages five and up, the arena can host over 36 players and up to eight teams can play at one time! 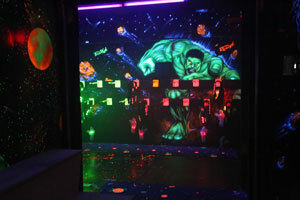 Planet Laser is the place to be for families, group, and corporate outings. All our gear is one-size-fits-all and has a unique code name so that you can identify, and be identified by your team mates. Your mission is to score points for yourself and your team by tagging/deactivating the opposite team players, as well as their bases. Scores are then tallied, printed, and delivered to you itemizing your accuracy, rank, and activity detail. The team with the highest score WINS!